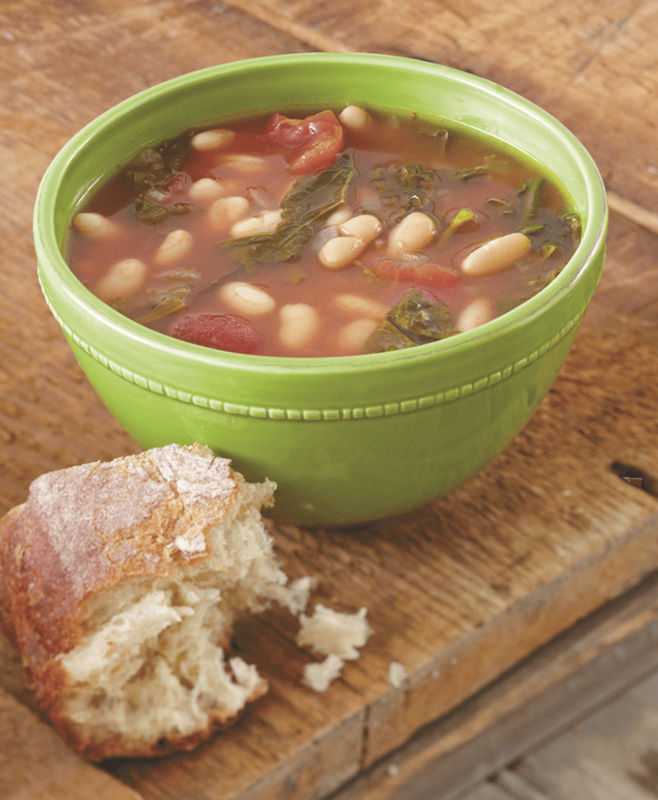 Sturdy winter greens and pantry staples come together in this soothing soup. It is gluten free if you serve it without bread, and vegan if you make it with vegetable broth. Heat a large pot over medium heat and add the olive oil. Add the onion and garlic. Cook, stirring occasionally over low heat until translucent, about 10 minutes. Add the kale and broccoli rabe to the pot; increase the heat to medium, and stir the greens until they wilt. Squeeze the tomatoes into the pot. Add beans to the pot. Stir while adding the chicken or vegetable broth. Pluck the thyme leaves from their stems and add to the pot.